Kidney Biriyani malyalam movie directed by debutante Madhu Thathampally featuring Madhu, Ranjith and Harisree Ashokan in lead is currently undergoing shoot. Scripted by E Riyaz Padivattom, the movie span through the abuse of marketing Kidneys. Produced by E.A.Basheer and Riyas Padivattom under the banner of Asara creations is blessed with the presence of Jagannatha Varma, Reshma Krishna, Hair, Seby V Bastin, Saju Pashanam, Biju Kochu Paul, Nazeer, Kalpana, Chilanka, Thasni Bhadusha and Indira Thampi. Kerala being a state with high levels of literacy and general public awareness is quite a model to other states. But the failure of institutional mechanisms in place to implement the law has pushed back its status during different period. One such incident is the reports on illegal kidney business which centered on middlemen who stood close to some hospitals. As the state government put up an inquiry into the issue, the magnitude of the nexus between the health-industrial complex and middlemen was shocking. The growth of powerful immuno-suppressant drugs and the advancement in the surgical methods truly have hastened the pace of renal transplantation which was a blessing for the kidney rackets. As the state government was aware about the gravity of the issue, strict action was taken on time which brought an end to the illegal trade. Blessed with the presence of gifted talents in the film industry, here a project is getting shaped which focus on the abuse of marketing Kidneys. And the dark business of kidney trade in the state. Titled ‘Kidney Biriyani’, the movie directed by debutante Madhu Thathampally who has already helmed a movie titled ‘Lumiere Brothers’. Recently, the pooja of the movie was held at Sarovar Hotel inaugurated by Justice V.R. Krishna Iyer. Well known personalities such as Vinayan, Major Ravi and Alleppy Asharaf were also present during the occasion extending their support to this inimitable venture. During his speech V.R. Krishna Iyer mentioned that “God has given humans two kidneys, so that they could donate one of them to a person in need which would create new life”. 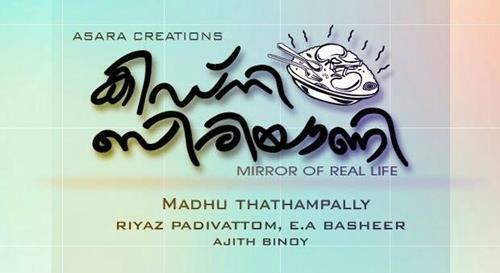 The movie which features Madhu, Ranjith and Harisree Ashokan in lead roles is scripted by E Riyaz Padivattom. Jagannatha Varma, Reshma Krishna, Hair, Seby V Bastin, Saju Pashanam, Biju Kochu Paul, Nazeer, Kalpana, Chilanka, Thasni Bhadusha, Indira Thampi, Kulappully Leela, Reeba Sen, Shreeja and Indu will give life to other prominent characters in the movie. ‘Kidney Biriyani’ is produced by E.A.Basheer and Riyas Padivattom under the banner of Asara creations. Arun Gopinath cranks the camera and while the music is composed by Anil Panachooran. Unlike the other themes which are purely made for entertainment, ‘Kidney Biriyani’ would deliver a social message which would enlighten the viewers. It would also be an eye opener to the people who have disbelief about organ donation. With great examples like Fr. Chiramel who has donated his kidney, it is the way of showing compassion to other people. It is much heartening to know about the initiatives coordinated by the state government and celebrities like director Sidique, actors Mohanlal, Kunchacko Boban, Biyon, Rima and Renjini Haridas in promoting organ donation.